A planned cyber attack on one of the most vicious drug cartels in Mexico by members of the hacker collective known as Anonymous is going ahead as planned, a spokesman for the group said today through a video posted to YouTube. 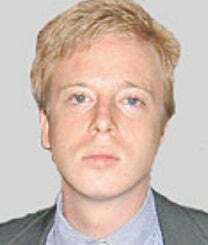 After reports that a member of the group behind the operation, called OpCartel, had announced that it was scrapped, a vote was held by everyone involved, and it was decided to proceed with the action, according to Barrett Brown, who is often the public face of Anonymous. Brown maintained that OpCartel members were proceeding carefully, not only to protect themselves, but to insure that they identify the right people when they make their public disclosures. "It's a very careful process," he contended. For any Anonymous members concerned that the drug cartel, known as Los Zetas, will hunt down and kill them, "this isn't the movement for them," Brown warned in this YouTube video. On Sunday, a Mexican newspaper, Milenio, reported that two Anonymous members told it the operation was canceled. The cancellation came shortly after it was reported that Los Zetas had been hiring computer experts to hunt down the hackers. Because Anonymous is so loosely knit, it's often the case that something is done in its name and then immediately renounced by other members of the organization. For example, the website of the former attorney general of the Mexican state of Tabasco, Gustavo Rosario Torres, has been vandalized twice. Scrawled on the site was the message “Gustavo Rosario Es Zeta" signed "Anonymous Mexico." On both occasions, Anonymous Mexico has denied having anything to do with defacing the site. Given the amount of disorder that's surrounded OpCartel so far, there'll probably be a few more twists to this tale as the Saturday deadline approaches.